Simple metallic silver evening sandals with diamante encrusted straps. 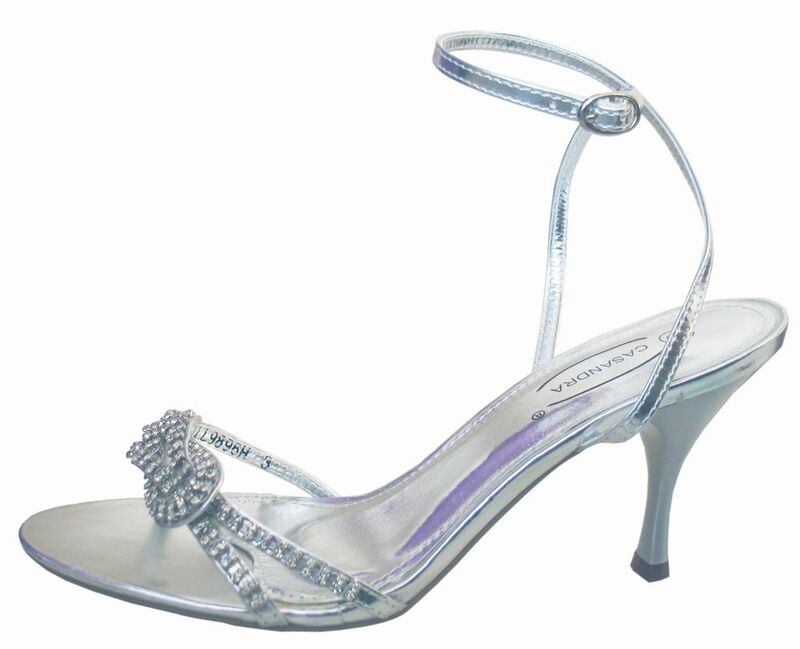 Two diamante encrusted straps across the foot & tieing in a knot. These beautiful evening sandals have an ankle strap fastening with a small elastication at the buckle for a great fit. 3" heel. The silver evening sandals are also available in gold.